Compelling and age appropriate, this adorable stray's quest will engage animal-loving children, their parents, teachers, and librarians with its message of hope and compassion. The story is based on the author's own adoption of a dog she saved from a subway station. The final page is filled with information for parents and other adults who want to learn more about the subject. Lynda Graham-Barber's abiding passions for writing and animals have intermingled for four decades, as children's book editor, writing teacher, author of 13 books, and an animal rights advocate. The author, who holds a MFA in Writing for Children from Vermont College, lives in a small stone cottage, which she helped build, situated on 160 wooded acres in the Northeast Kingdom, Vermont, with her artist-husband, David, and their rescued dog, Biscuit. 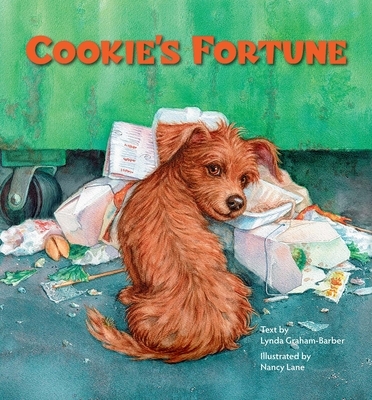 Nancy Lane is an accomplished artist, teacher and illustrator of morethan 24 books. Four of those have been published by The Gryphon Press: A Home For Dakota, Call The Horse Lucky, The Forgotten Rabbit, and KoKoCat: Inside and Out, also by Lynda Graham-Barber. She specializes in watercolor and showing emotion on animals'faces, asshe knows they have feelings, too. Kirkus Reviews had this to sayabout KoKoCat: "Lane's beautiful, bright watercolors depict an amazingarray of emotions on the face of the realistic protagonist." She is an avid animal lover and has rescued many animals. Currently she has twoGerman Shepherds that she hikes with every day. The mother of twogrown children, Ms. Lane and her husband live in Canandaigua, New York.